And don’t be so gloomy, after all it’s not that awful. But what the fellow says. In Italy for thirty years under the Borgias they had warfare, terror, murder and bloodshed but they produced Michaelangelo, Leonardo da Vinci and the Renaissance. In Switzerland, they had brotherly love, and they had 500 years of democracy and peace and what did that produce? 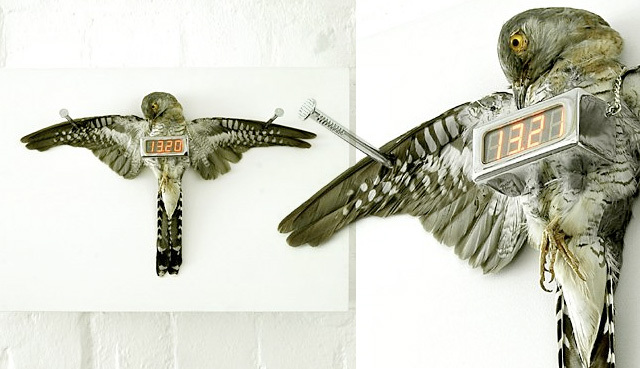 The cuckoo clock. So long, Holly. — Harry Lime as played by Orson Welles in “The Third Man” (Silznick Releasing Organization, 1949), 1:20:17 – 1:20:43. Adapted from “The Third Man: Screenplay” by Graham Greene and Carol Reed, (Santa Monica, California: Citron Manuscripts, 1949). Posted on behalf of Orson Welles, Graham Greene and Carol Reed on Thursday, March 4th, 2010 under Quotations. The Third Man, a masterpiece of cinema. Coincidentally, Welles played a Borgia in The Prince of Thieves. And, I do love Swiss Army Knives, now available with a USB drive.